این افزونه توانایی قفل کردن راست کلیک - قفل کردن کلیدهای ترکیبی - نمایش پیغام در صورت کلیک کاربر روی دکمه Print Screenو حتی غیرفعال کردن امکان Drag and Drop برای جلوگیری از کپی عکس ها را در سایت شما دارد و با این روش ها به راحتی از کپی مطالب سایت شما جلوگیری می کند. 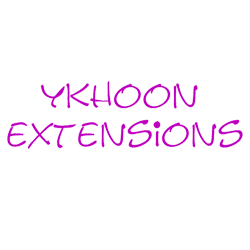 Although yKhoon Content Protector Basic Edition and the Advanced Edition offer similar functionality, the Advanced Edition provides more functionality and control than the Basic Edition. For example, the Print Protection functionality of the Advanced Edition will prevent the visitor to print the content of the web site. The visitor will get blank page instead of the content of the web site. The Advanced Edition also has a functionality to prevent the visitor to use the Browser Copy function to copy the content of the web site. Block the saved web page from opening in localdisk and different domain. Disable mouse right click, word/text selection/highlighting and control key combination (e.g. ctrl + c, ctrl + v, etc). Give immunity to certain user. Protect the article of your choice. Super Administrator or Super Users is immune to all functionality of this extension. Joomla! Administration (back-end) is not affected by the functionality of this extension. Compatible with AJAX enable website. Two fail-safe system for ensuring maximum protection for your site. Determine which control key combination to be disabled. Show pop-up error message when a restricted function is used. Change the pop-up error message to suit your web site. Able to use symbols such ' and in error message. Support Integrated Product Update System for checking and download latest version of the product.